Over the course of the past few years I have been working on a global commission for a large golfing publication photographing some of the world’s most prestigious golf courses for a feature called “One Course Meal”. A wise man once said “My worst day at the golf course still beats my best day at the office”. Indeed, luckily enough for myself, some of the finest and picturesque golf courses in the world have become my offices over the past year. 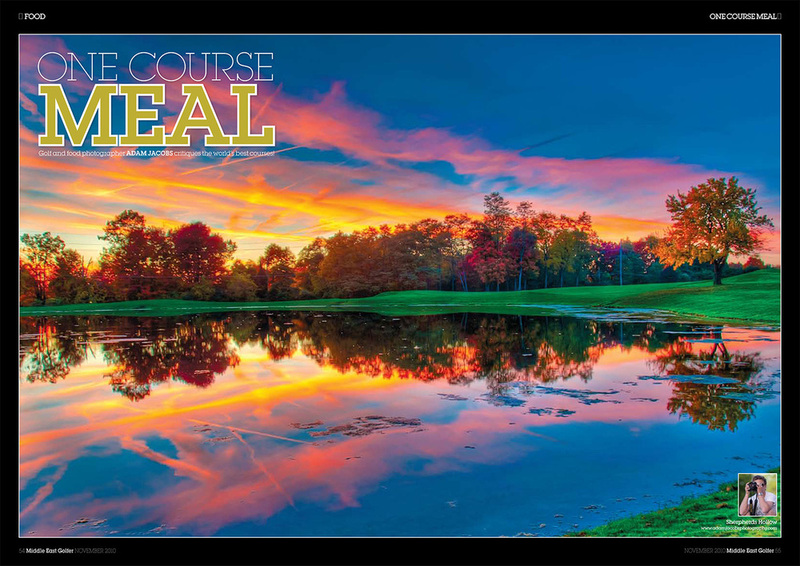 My brief was to photograph the signature holes on courses across Europe and the United States including Wentworth, Sunningdale, The Concession and Cascata in Las Vegas for the largest golf magazine in the Middle East. The magazine has a readership of almost 1.5 million people and my ongoing brief is to showcase each course in a unique and artistic light to an Arabian audience. As part of the feature, I spent quite a bit of time shooting some of the most stunning holes in golf including the notoriously difficult 18th hole on the West Course at Wentworth. I was also asked to photograph the signature dishes served in the clubhouse for hungry golfers after finishing their rounds.. What was even better was I often got to eat these delicious creations after shooting them which, was much appreciated.